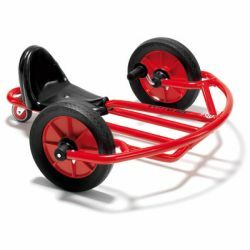 Teaches children to coordinate their movements in a different way compared to traditional trikes. Seat height 5". Ages 6–12.